Prudence (aka Prue) attends Diocesan School for Girls after being awarded a Sports Scholarship (previously at Mt Albert Grammar School, where she was a member of their swimming and rowing academies and played for their Premier Girls Water Polo team as well as representing MAGS for cycling, open water swimming and triathlon and getting National Medals in each of the sports). 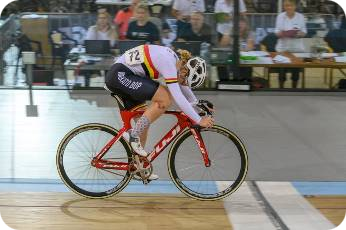 Her goal is to go to the Olympics, but she has not decided what sport to specialise in yet, although with 19 National Cycling Titles and 4 National Cycling Time Trial Records, it currently looks like Cycling! 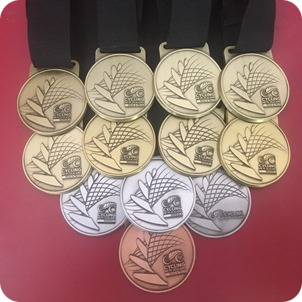 Prudence came way with four medals (Gold, Silver and 2 Bronze) at the 2019 National Track Championships in Cambridge. A sterling effort considering she was knocked down by a car only a few days before the event and rode with a fractured finger and some bruised legs. 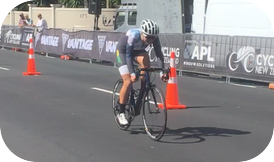 The 2019 Cycling season kicked off with the National Age Group Criterium Cycling Championships in Takapuna Auckland. Prudence dominated the race and with one lap to go made a break and won by 6 seconds over the rest of the field, taking her tally of National Titles to 18 and still only 15 years old. Great start to the season. For more news and updates on Prudence Fowler click this link.